To cancel ESC operation, press the ESC OFF button (ESC OFF ) shortly (ESC OFF indicator light (ESC OFF ) illuminates). At this state, the engine control function does not operate. 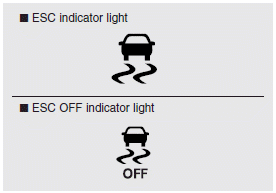 It means the traction control function does not operate. 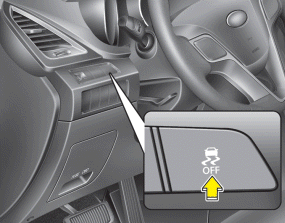 Brake control function only operates.